Adularia is a variety of feldspar found in hydrothermal veins in mountainous areas, from one of which it derives its name: the Adular Mountains of Switzerland. It commonly forms colorless to white, cream, pale yellow to pink, or reddish-brown, glassy, prismatic, twinned crystals. 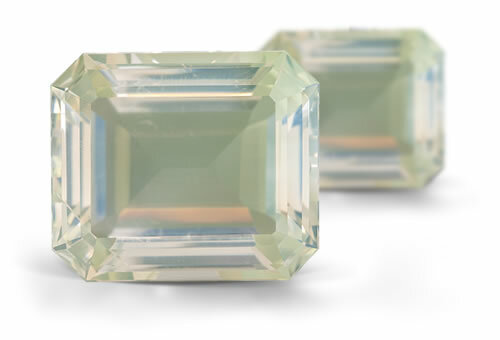 These transparent to colorless gems often display a white to blue sheen. This stone comes from Adula mountains in Switzerland and this is where the phenomena adularescence gets its name. Adularia will display white or blue adularescence. Stones might have centipede like inclusions and material with aventuresence or asterism might contain reflective inclusions such as fine needles or elongated hematite platelets.